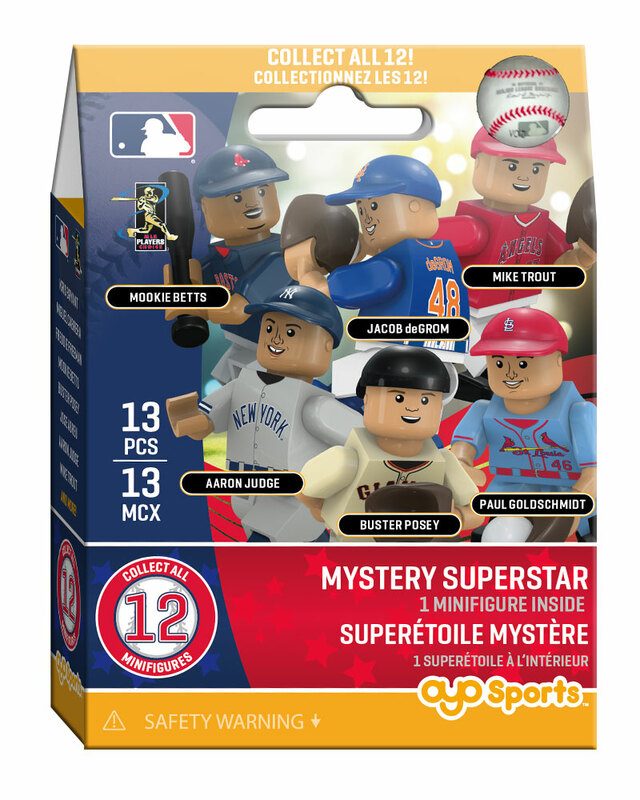 Dig into one of our MLB Superstar Mystery Packs and score a minifigure of one of today's brightest MLB stars! 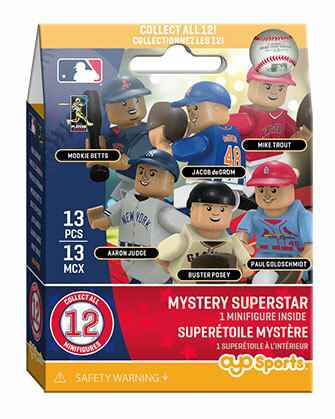 Collect all 12 in the series! Bendable knees and elbows mean that your minifigure is ready to swing for the fences or throw some high heat. With details and accessories like an authentic team uniform, bat, glove, ball, hat and more! Get ready to bring major-league action home to you! The perfect gift for the biggest (and littlest!) sports fan in your life. The gloves never properly fit the hands of players in the mystery packs and always fall off. I have never had a problem with gloves fitting the specifically ordered players. RECEIVED ONE I ALREADY HAD. We got 2 of the same players but they are awesome players so it’s all good! We got Miggie. My son loved it!! My son plays with it for hours! Theee were great and my son loved them but multiple packs came with 3 arms or 3 hands. The problem is that there were only 3 players included in the 12, i.e. there were 5 of one player, 4 of another, and 3 of a third. It would seem they have no way to identify duplicates. The arms didn't fall off like last time and my son loved them. I got a good figure. 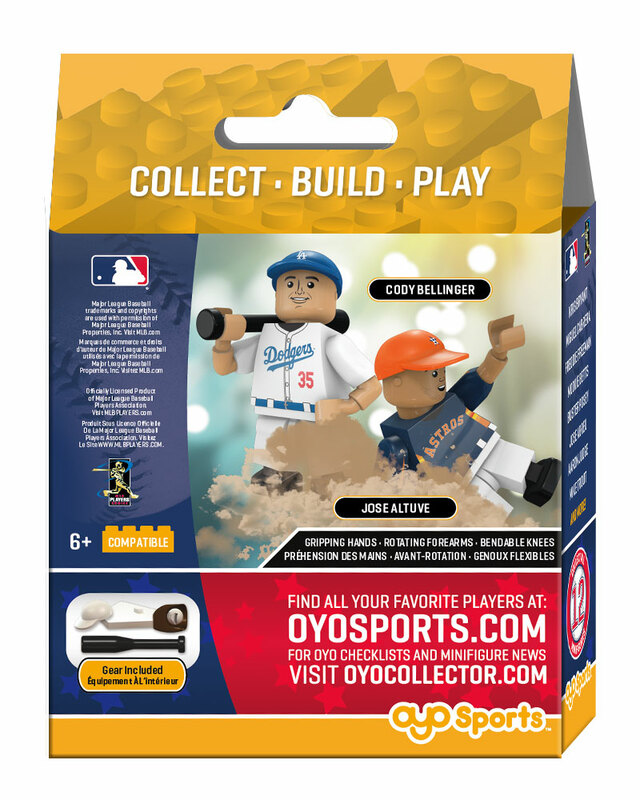 Thanks OYO! Son loved this as a birthday gift. I'm rating this a 3 due to the incredible amount of repeats sent out when ordering multiple packs. The too toy itself is a 5. How you are distributing them is a 1. I ordered 10 packs and got 7 of one player and 3 of another. I expected some duplication but this is UNACCEPTABLE from OYO and their high standards. Thanks my son loves it. 5 year old son loves these. He got an Evan Longoria. I think it makes more sense just to order the one you want, but mystery is still fun too. My son loves the surprise of finding out which player is in the box. Always a surprise with these! My son was so excited to get this product, the quality and detail are great. Nice addition for half the price! Quick delivery loved it ! My son got one of his fav Stanton!! !